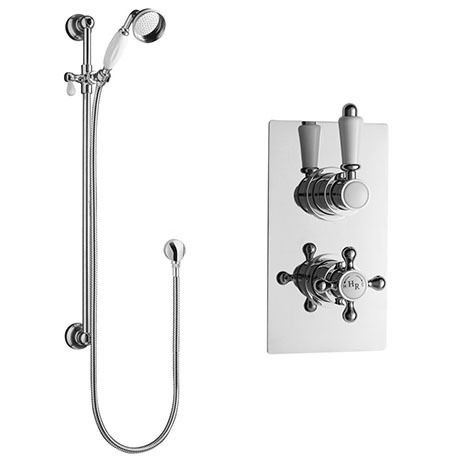 The Traditional twin thermostatic shower valve with Slide Rail Kit is robust and graceful. Suitable for all types of plumbing installation this shower valve has the added safety benefit of a built in anti scald device should the cold water supply fail. Supplied with traditional slider rail kit.